Groucho Marx Eyebrows: How To Avoid This With Microblading! Groucho Marx eyebrows are a common scare in the microblading world. We hear many of you are often worried about looking like Groucho Marx. Do you feel the same way? We understand a lot of horror stories go around as well as inexperienced artists. Well, good news…you no longer have to worry when booking with Better Brows Cincinnati Microblading Studio! We deliver confidence by achieving a very natural and subtle look. Now keep reading to learn how to avoid looking like Groucho Marx when selecting an artist! 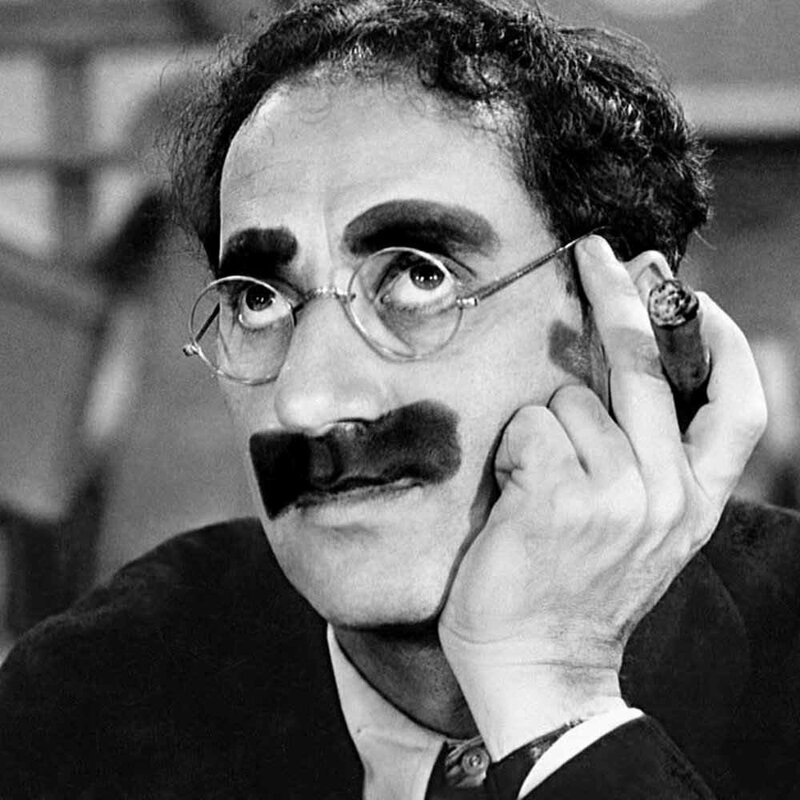 A lot of people ask us if they’re going to look like Groucho Marx. If you’re not sure who this is he was a famous comedian with extremely bold brows. When we say bold brows we mean like a sharpie was used to fill them in! Google his name and you’ll see what we’re talking about! Intense, right? Now that you’ve seen a picture… yes, those brows are no joke god love him! We know there’s a lot of articles out there where this has become a thing due to the some artist’s immediate microbladed results. The brows they’re referring to look extra dark and abnormal. To be honest, this shouldn’t happen. What I mean by shouldn’t happen, I mean they shouldn’t be too dark to the point where you’re scared when you look in the mirror. Our goal is to make them look natural at Better Brows. Our results do not look like a sharpie was used on your brows. Through our experience and continued education, you can trust we’re guiding you to avoid Groucho Marx eyebrows. Brows a little darker than your normal hair color is normal. Your brows will still look beautifully natural so do not worry! Within the first six to eight weeks after your procedure, your microbladed brows will lighten about 30-40% giving a more subtle look. Since we know your brows lighten we go a hair darker but nothing unnatural such as a super dark blocky look! If you are seeing this type of work in after results then this is a red flag. Immediate results should still look super natural and not too bold. You should be able to look in the mirror and feel confident enough to go out in public immediately after your appointment. This shouldn’t be a worry when making an appointment with us at Better Brows. If you weren’t successful trying to avoid Groucho Marx eyebrows then either the artist went too dark, was too heavy-handed, or didn’t implant the strokes correctly into the skin. Microblading is not a tattoo as we are not placing the pigment into the deepest layer into the skin. There are so many important techniques to microblading that are not practiced, resulting in unnatural results. Depth, the angle at which the blade penetrates into the skin, holding the skin properly, proper color, and many other techniques play a big part. It is not normal to look like a sharpie was used on your brows! Even if your hair color is super dark it should still look natural! Therefore, it is important when doing research to view the artist’s work to ensure you’re in good hands of someone who can deliver exactly what you want. If you notice sharpie brows, run (unless this is what you want)! Click here to learn about microblading aftercare! Click here to read about the microblading healing process! Click here to find out more about microblading!